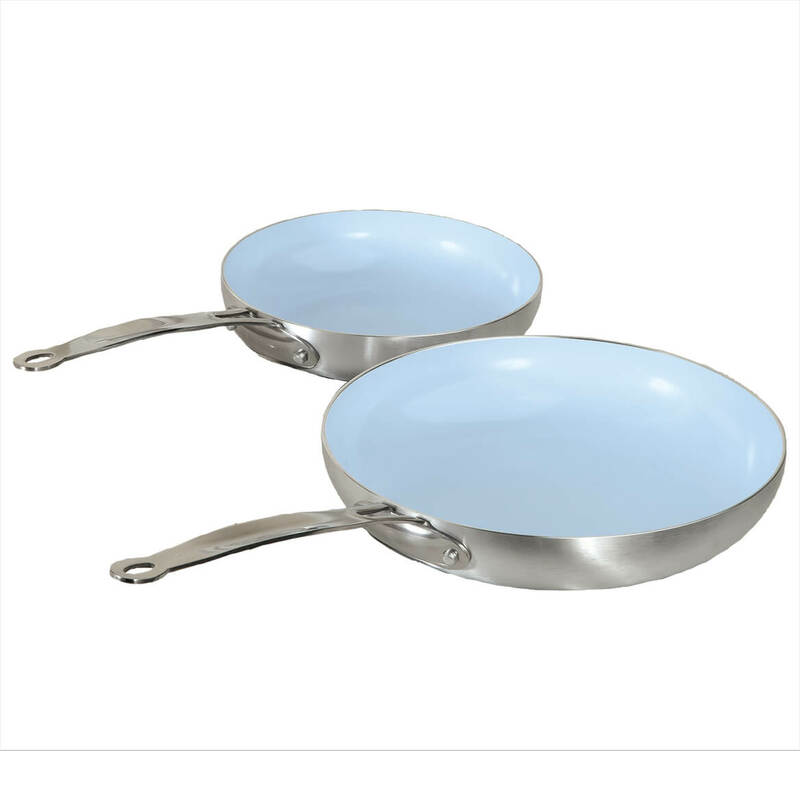 I needed a pan that could go from stovetop to oven for awhile now. I was waiting to find the right one and now I have 2 and both sizes are just right. And, they are NOT red. 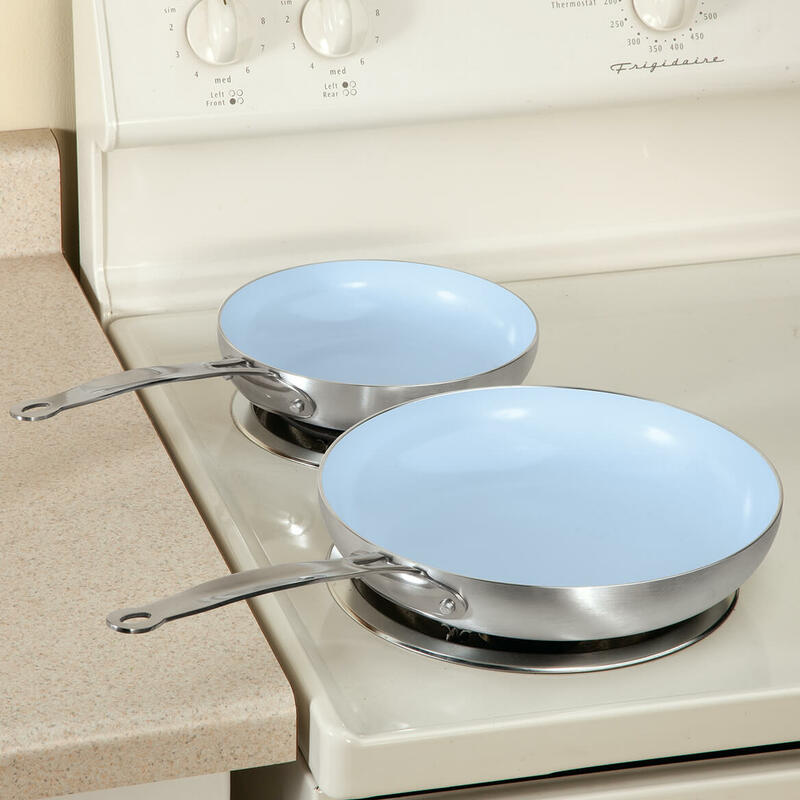 I was hoping that someday there would finally be a ceramic pan in a color for my kitchen. Instructions say one can use without oil spray. 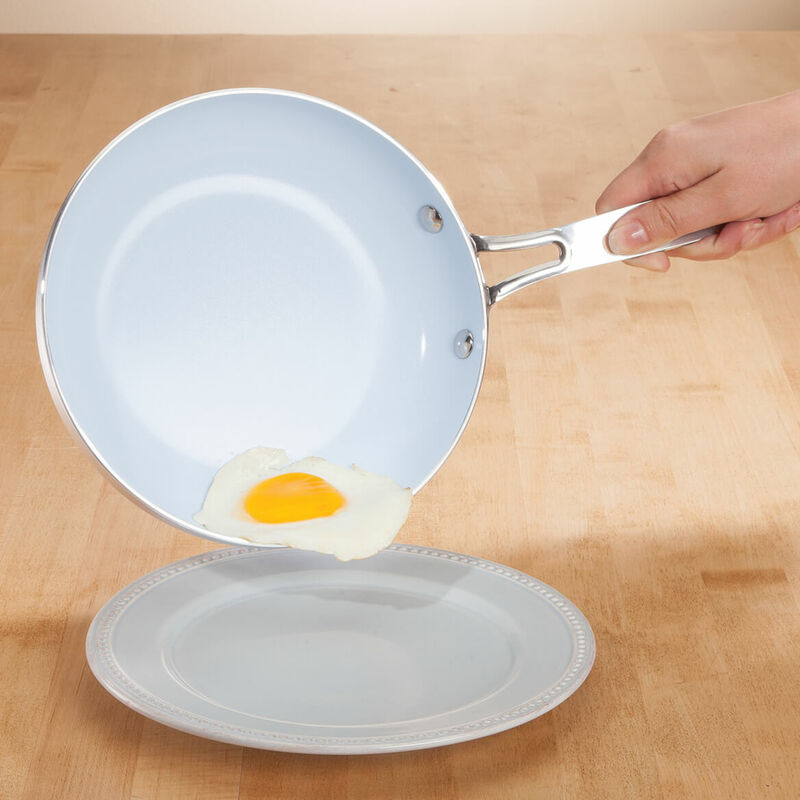 I had to add spray in order to cook an egg, otherwise it stuck to pan. Can only cook up to 275 degrees or items will scorch. Food left an after taste in my mouth. I do a lot of cooking now that I'm retired and these promise easy clean-up. How does the bottom of the pan look? Can a photo be added to the product listing? Thank you Debra... I believe that describes it well. I appreciate your prompt response.